Accent your sofa and your living room by incorporating this stunning Solid Pine Wood End Table into your living room furniture collection. Select a distressing package to add a hint of rustic charm, as well as a finish color from our variety of paints & stains to match your personal style. 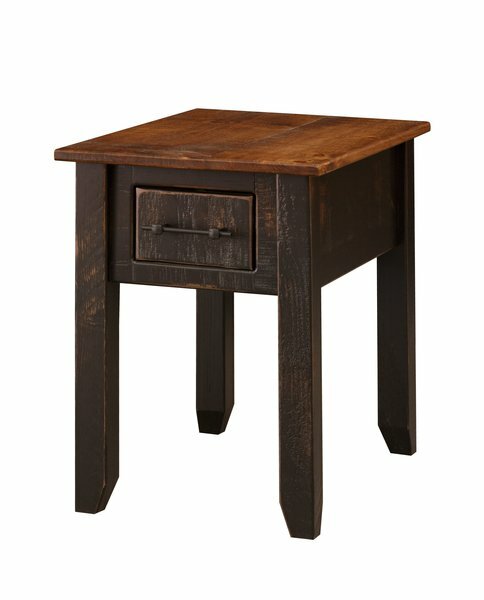 Your new American made end table is sure to add that extra touch of style that will help to complete the look of your dining room.